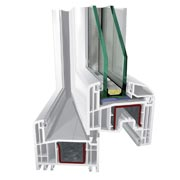 Our highest quality PVC windows are made of a healthy “Greenline” profile from Germany – GEALAN. The name “GEALAN WERK FICKENSCHER GmbH” is a leading European producer of PVC profiles. Besides, JONAS VINDUER plastic windows provide an excellent heat insulation. Apart from this, they are ecological. To clarify, it is called a green line, lead-free and durable. 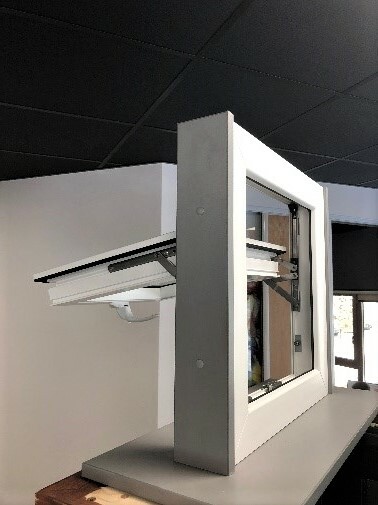 Moreover, GEALAN profile system offers the finest build quality and a feature of an excellent heat and sound insulation. Besides, You will get a great protection from thieves and a modern looking at the same time. Of course, the main colour of the windows is not only white, but we also provide a wide range of colours and woodgrain finishes. Specifically, this makes PVC windows look like they are made from wood. In spite of this, it still maintains all the advantages of PVC windows. For this reason, You don’t need to repaint that kind of windows at all. In fact, they are easy to clean, and the surface doesn’t change through the years. PVC, low maintenance products, are becoming more and more popular in the Scandinavian countries. As a matter of fact, the GEALAN profiles are lead-free! 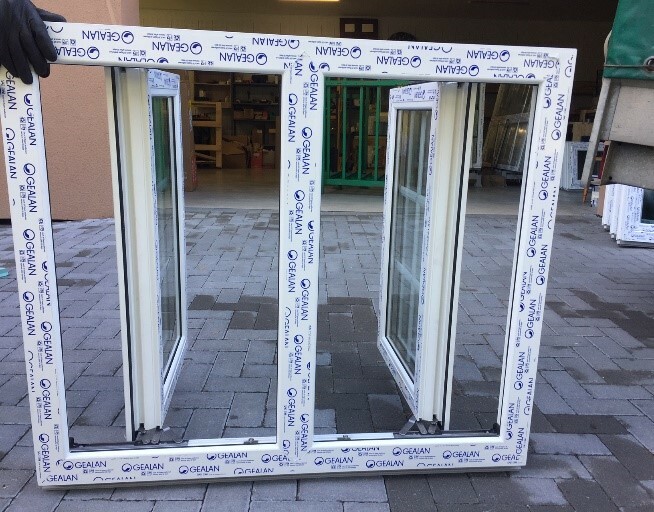 First, such windows are more durable, more stable, more resistant to external impact. Second, they remain longer white and shiny. And the most important, that PVC stabilizer which we use is a non-toxic product. Besides, such stabilizer does not affect a human’s health or the environment. Our GEALAN product range is equipped with a reliable and durable flexible system GRETSCH UNITAS (G-U). 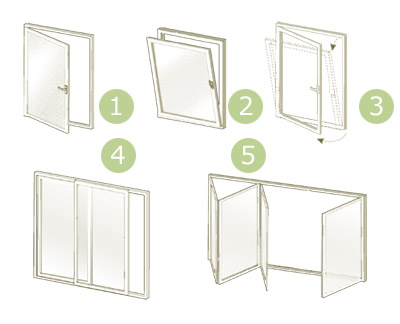 It is a German flexible / lock system that helps you easily and reliably control and open the window. 3. There are cases when the layout of the house and the rules require installation of fire-emergency windows. Windows, which when fully opened, a "clean" opening with a height and width of at least 1500 mm, corresponds to the emergency exit windows. First, an excellent insulation due to six chambers in both, frame and sash. Second, a very good rigidity due to large steel stiffeners in the frame and sash. Third, it is easy to clean, thanks to a generously large sash rebate. Additional colour choice: wood imitation on one/both sides; different wood imitation colours from both sides; acryl coloured from outside. 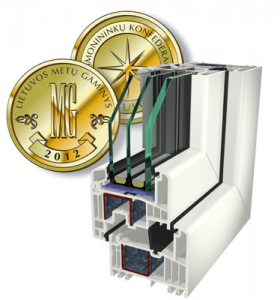 Profile “GEALAN S 9000” with 6 chambers – THE PROFILE FOR PASSIVE HOUSE! Comparatively, with a profile above, the new “GEALAN S 9000” triple sealing profile system brings together the advantages of middle and rebate seal systems. Also, a large construction depth of, as much as 83 mm. Besides, 6 chambers inside sash, frame profiles and 3 levels of a gasket ensure even better thermal and sound insulation. At the same time, such window profile complies with the requirements of an energy-efficient windows. This kind of windows are often used in a “passive house”. 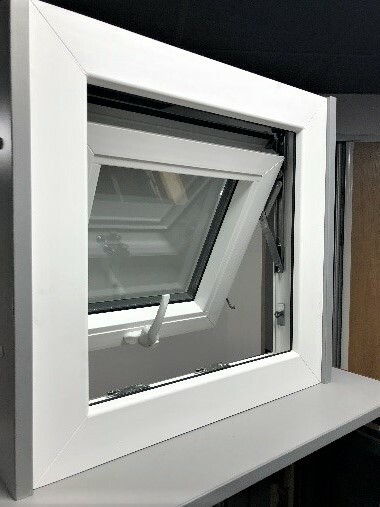 Additional information: tilt&turn windows have also a micro ventilation position.